Is this a good idea? It isn’t going to help unemployment much, and how easy would it be for inmates to escape across the border? As reported by Newsweek, a Massachusetts county sheriff has proposed sending prison inmates from around the United States to build the proposed wall along the Mexican border that is one of U.S. President-elect Donald Trump’s most prominent campaign promises. 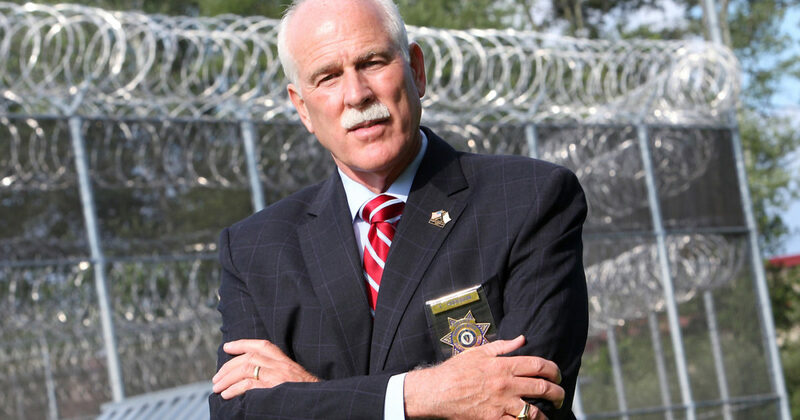 “I can think of no other project that would have such a positive impact on our inmates and our country than building this wall,” Bristol County Sheriff Thomas Hodgson said at his swearing-in ceremony for a fourth term in office late Wednesday. “Aside from learning and perfecting construction skills, the symbolism of these inmates building a wall to prevent crime in communities around the country, and to preserve jobs and work opportunities for them and other Americans upon release, can be very powerful,” he said.